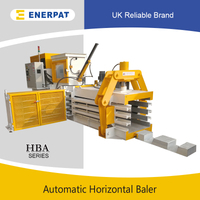 Our fully automatic horizontal balers are an automated version of our horizontal balers, able to process high volumes of recyclable materials such as paper, cardboard and plastics, ideal for companies with a large amount of daily waste to handle. 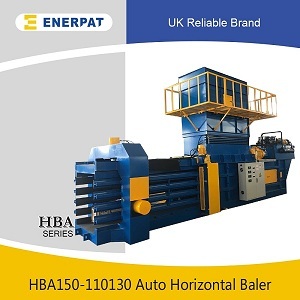 Materials are pressed into stable, high-density bales by our fully automatic balers, which are easy and safe to stack, requiring less storage space. The length and weight of bales is selectable, with bales being tied automatically when the selected length is reached. 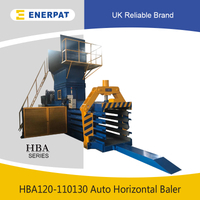 Our fully automatic horizontal balers are CE marked and designed with customer requirements in mind, making your waste management a simple and cost efficient process. 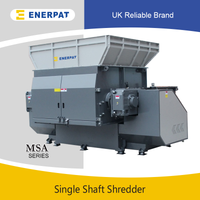 Every week,every month,customer from worldwide come to enerpat for business for recycling equipments and environmental solutions. We set the standard for advanced service maintenance and repair excellence, ensuring you get the longest lifespan and best performance out of your equipment. 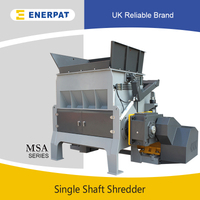 ENERPAT employs a team of waste shredding consultants, each with their own engineering and application experience. 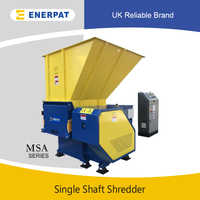 The Enerpat name has become synonymous with recycling equipment. Established in 1936 it now has a 66,000 ft main factory as well as offices and agents across the world. Our commitment to building quality, reliable machinery has made us one of the world’s leading manufacturers. With a range of over 80 machines, we have a solution for almost every waste type and volume,Products include single shaft shredder,horizontal baler,recycling plant,vertical baler and so on. Our engineers work closely with our customers, so we always build the right machine for you. Our service and sales staff are committed to looking after you. From the purchase of your machine, to the ongoing service and parts requirements. 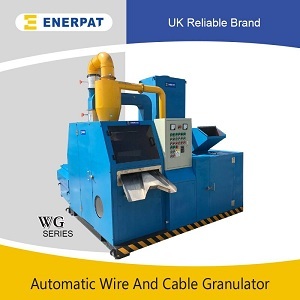 Thousands of customers around the world, now use a Enerpat machine as part of the recycling business. From small shops to some of the largest global businesses and governments.